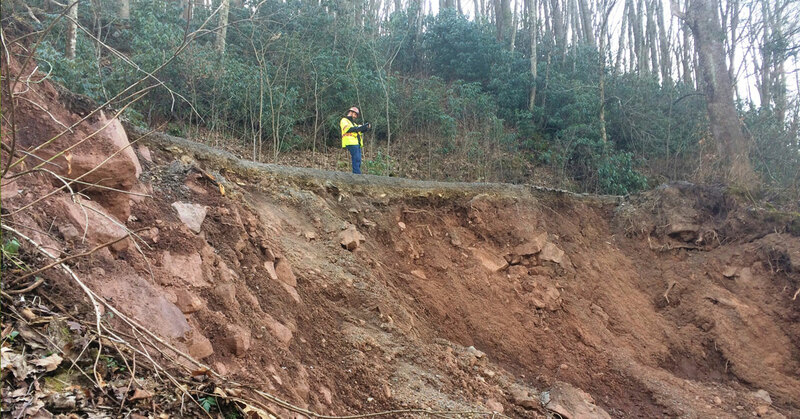 A contract has been awarded to repair the section of Tumbling Creek Road on Clinch Mountain WMA in Washington County damaged in a landslide on February 19, 2018. The planning phase of the project began soon after the incident. An engineering firm collected site data and developed the repair plan with considerable input from a geotechnical engineering firm. The size of the slide, rugged terrain and unstable soil characteristics make the repair a challenging one. Additional time was also required to advertise the road repair project in a competitive bidding process. The terms of the contract allow the contractor 120 days to complete the repair. It is possible that inclement weather or unforeseen difficulties may extend the construction timeline. We understand your frustration and disappointment in not being able to access your favorite fishing, hunting and shooting locations. In this situation, public safety (the PROTECT part of our Agency Mission) takes priority over public access (the CONNECT part of our Mission). Thank you for your continued patience.